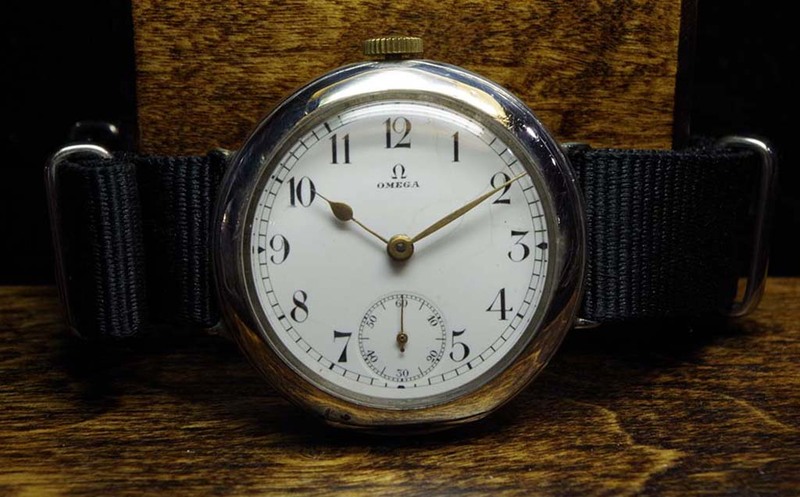 This Omega Grand Prix 1900 is a family heirloom piece and was restored to running condition. The movement was disassembled, cleaned and lubricated. Reassembled and regulated. Installed new crystal. Installed NATO Strap. Placed on extended testing. Repair service complete. This watch was in military service during WWI. This pocket watch has rare case lugs installed so that it is was probably strapped to the uniform around the upper arm, not on the wrist. The family member has graciously provided some background details below. 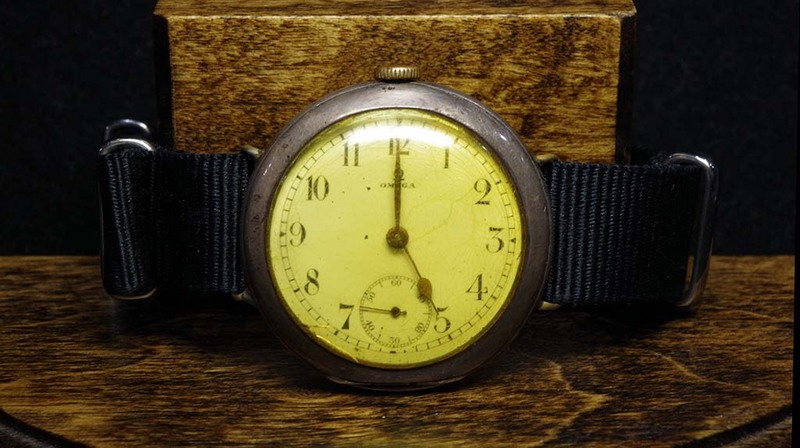 This 1916 wristwatch was originally owned by Pál Szalay, who was born in 1893 in Hungary. 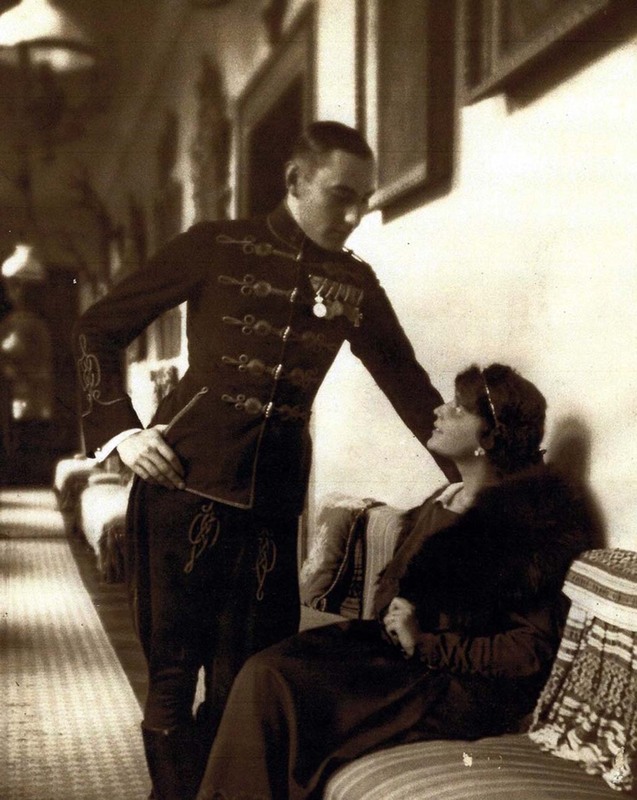 He owned the watch when he was a Hungarian officer in World War I when he fought against the Russian Army. He received several military medals of honor and he was later awarded the Order of Vitéz for acts of valor. After the war ended, he returned to his hometown of Alsózsolca, and he lived there until he passed away in 1972. Pál’s wife, Katalin, later brought the watch from Hungary to their son in New York City, who had escaped from the Soviet-controlled country when the borders were temporarily opened in 1956. The watch stayed in the family and eventually was inherited by Pál’s grandson, who now lives in Ohio. The watch was not been operational for many decades. Thank you for a beautiful job! I am sure the history of this timepiece is of interest to many.